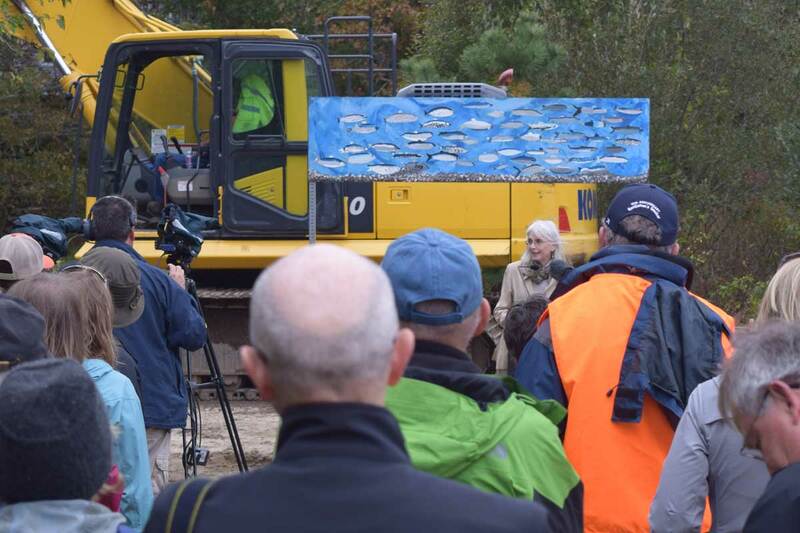 Six years after Inter-Fluve was contracted to develop alternatives for improving fish passage along the Coonamessett River, a ground-breaking ceremony took place on October 30, 2017 for the small, spring-fed stream flowing south through Falmouth, Massachusetts into Vineyard Sound. A long history of mill construction and cranberry cultivation has contributed to declines in fish populations and degradation to aquatic habitat. The project will include the removal of one dam, restoration of one bog to historic channel and wetland, and the construction of a pedestrian stream crossing to maintain recreational opportunities. Inter-Fluve led the data collection, designs, and permitting for this project and is now observing construction. Read more here.